If you’ve known me long enough, you’ve discovered that I rarely ever buy things new. I am an eBay/garage sale/thrift store fanatic. Usually, my mom and sister and I hit the garage sale route a few Saturdays a month, but due to vacations and holidays, it’s been almost 2.5 months since we last went. This Saturday, we changed all that and got started by 8:30am (which is pretty late for avid garage salers, but pretty early for all of us on a Saturday morning!). And BOY. Did we find some good deals! And when I say good deals, I’m talking brand new, tags still on kind of stuff. Not only did I find lots of clothes for all 4 boys + Jesse (all at around 50 cents an item! ), but I also found quite a few name brand things for myself. Exhibit A: My outfit above. The shirt was $2 and from Banana Republic. It’s sooo soft, and barely worn. And the jeans are Lucky Brand jeans and were only ONE dollar! Their only downside is that they have a small rip under the knee, but it doesn’t bother me much. It just means I couldn’t (shouldn’t?) wear them to work. Next up, a pair of Levis shorts with the tags still on! 50 cents! They’re a little big, but maybe by summer I’ll gain a little weight? I decided not to take a picture in them, because I didn’t want to regale you all with our bizarre California “sum-inter”. 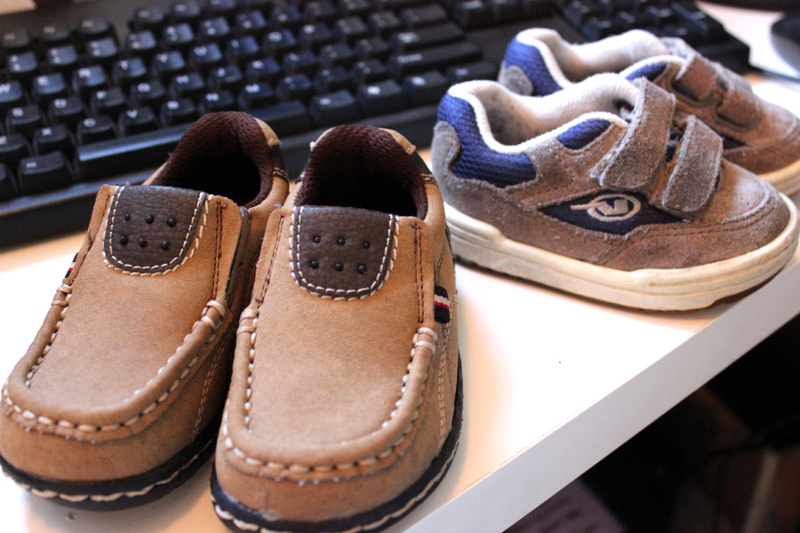 Next up, we have a few pairs of shoes I got for the boys, each for $2 with hardly any wear. Besides a bunch of clothes (including brand new Levis in the next size up for Gregory! ), I also found a like-new Melissa and Doug puzzle, along with two reusable waterbottles for school lunches. And let’s not forget furniture and home goods! 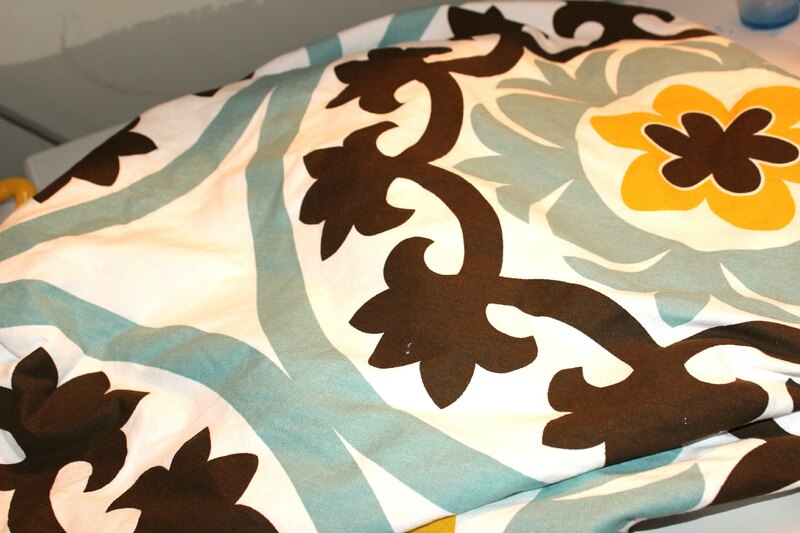 Does anyone else remember when this tablecloth was being sold in Target a year or two ago? I almost bought it back then when I saw this rug tutorial on Pinterest, and I’m so glad I waited! I got it for $1! Last but not least, I’ve been searching for a great side chair for quite some time. I got this beauty for $2, and it’s incredibly sturdy. The upholstery isn’t even dirty. Thrift shops and tag sales are such a wonderful “win win”… a little extra cash for the seller, a great deal for the buyer, and a use for the item other than the trash. Very successful day! 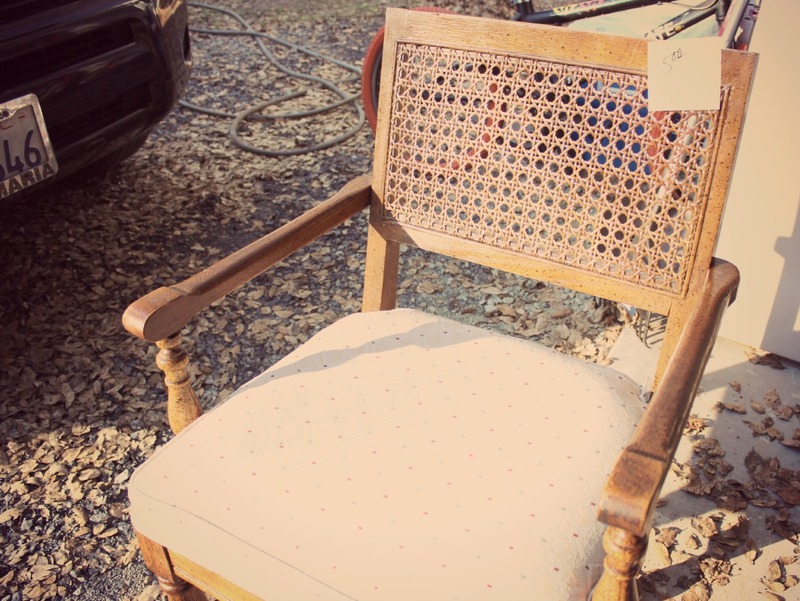 GREAT finds – love love love that chair! Thanks! I know, I couldn’t believe I got it for $2! Um, ooookay you got some amazing deals! 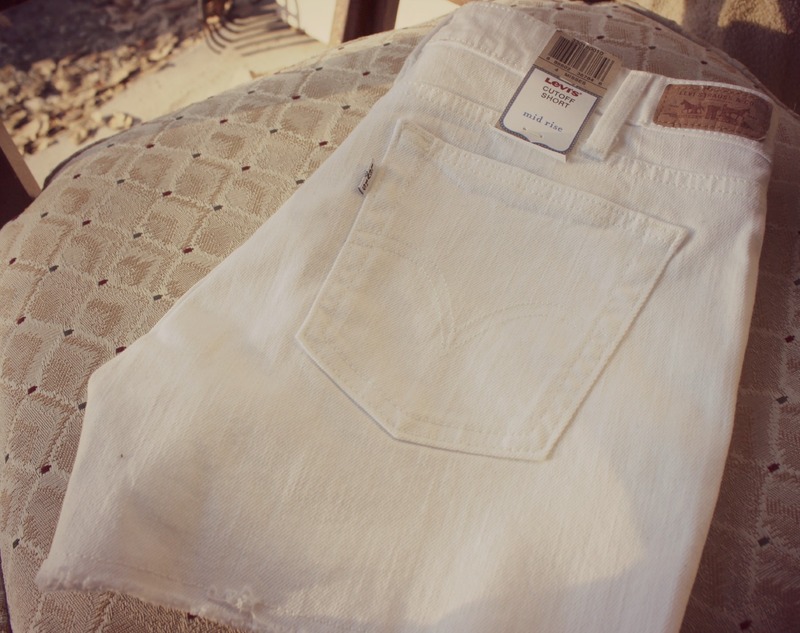 I am jealous of those Levi’s – I have had white jeans on my list for forever. And that chair is so pretty too!